The Genie can store up to 200 hours of HD programming. Speaking of convenience, the new Wireless Genie Mini allows you to watch TV anywhere – even outside! Now you have the freedom to place your TV where you want, regardless of where existing TV outlets are located! Without a bunch of cords! *Additional equipment required. Additional & Advanced Receiver fees apply. Minimum 2-room setup required for free Genie upgrade offer. Requires one TV connected to a Genie HD DVR and a Wireless Genie Mini for each additional TV. Limit three remote viewings per Genie HD DVR at a time. Access to available DIRECTV On Demand programming is based on package selection. Actual number of shows and movies will vary. Additional fees apply for new releases. 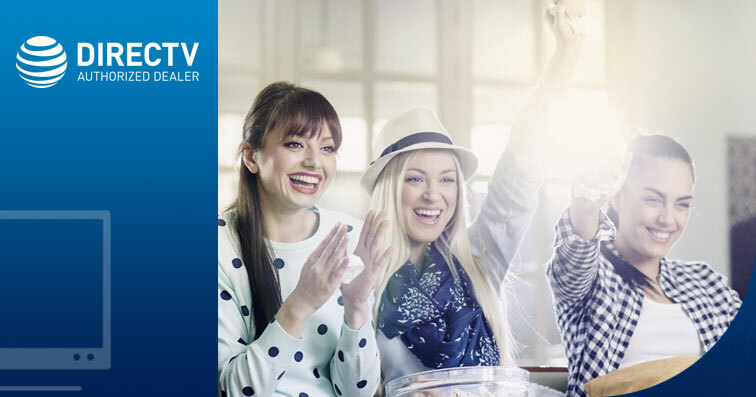 Some DIRECTV On Demand content requires an HD DVR (HR20 or later) or DVR (R22 or later), DIRECTV CINEMA Connection Kit and broadband Internet service with speeds of 750 Kbps or higher and a network router with an available Ethernet port are required. Visit directv.com/movies for details. †Package consists of all out-of-market NFL games (based on customer's service address) broadcast on FOX and CBS. Local broadcasts are subject to blackout rules. Other conditions apply.